Stranded at the Airport? Let’s Tango! 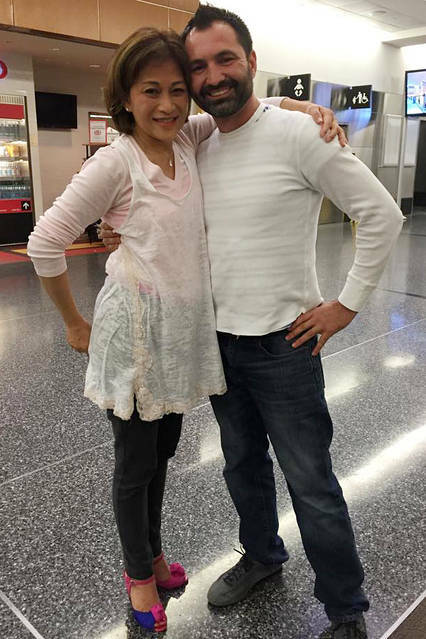 Tango devotees like Ray Bartlett and Isabella Garcia are finding random dance partners at airports through a Facebook group. It was the night before Thanksgiving and Eleftherios Minas, a construction contractor, was at Boston’s Logan Airport waiting for a flight to Indianapolis. Two terminals away, Christina Chin, an anesthesiologist, was on a layover en route to Newark. “At the bar next to the gate,” Mr. Minas said. “On my way,” she replied. Ms. Chin dashed out of her terminal and rushed to Mr. Minas’ gate. They each pulled a pair of dance shoes from their carry-on bags, and he queued up a song on his phone. Sharing a pair of earbuds, the two strangers began moving to music only they could hear, dancing a tango as passengers around them barely glanced up from their phones. After dancing, they parted and flew to their destinations. That 2014 interlude, and dozens of others, are the product of “Stranded At An Airport, Tango Meet-up,” a three-year old Facebook page created during a layover in Chicago by Steve Slavsky, a Boston engineering consultant and tango teacher. Steve Slavsky and wife Pamela Slavsky dancing on the street; he started the group "Stranded At An Airport, Tango Meet-up". “Sitting at Midway Airport during a lightning storm, just sensing there is a Tanguera here with her Comme Il Fauts in her carry-on waiting on her flight. And we miss the opportunity to dance,” he posted in the group’s initial message, referring to a female tango dancer and a popular brand of dancing shoes. No one showed. Yet Mr. Slavsky’s post caught the attention of tango lovers, nearly 10,000 of whom have joined the Facebook group where scores of hopeful dancers seek partners for an abrazo, the typical tango embrace, during airport waits. Overall a romantic and well-traveled group, tango enthusiasts often travel with their shoes at the ready, knowing a dance could be just a moment—or a few gates—away. Some airport tango seekers have adopted the word “stranda” to describe a successful encounter, a combination of the words “stranded” and “tanda,” the set of three to five songs that couples dance to. Queries on the group’s Facebook page approach found poetry. “Leader/man-follower at Istanbul Atatürk airport. Have music, and smelling strongly of ginger,” reads one message posted in November. “MIA Miami gate H9 until 1pm. I have music and shoes and no expectations to find any tangueras here—so surprise me. Look for me in the blue sports coat and jeans,” reads another. Out of hundreds of posts, members report only 40 or so actual airport tangoes have taken place—proof that it may take two to tango, but it can take many tries to locate a dance partner in an airport. 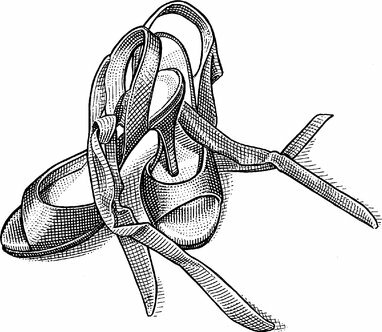 When dancers do match, they post triumphant videos or photos online. More common, they say, are near misses, with dancers leaving or arriving within minutes of a post, or meetups stymied by security-line waits. “It is an obsession. It is an addiction. We like to find each other everywhere,” says Marina Katayeva. The Fall River, Mass., research-firm executive makes jewelry depicting the “cabeceo,” the sultry head nod and eye gesture tangueros make to signal their interest in a dance partner. Ms. Katayeva has posted for partners in highway rest stops, mall food courts and wherever else she finds herself with down time. Two years ago she matched with a fellow traveler at Charles de Gaulle airport in Paris—only to be too travel-weary to dance. Christina Chin and Eleftherios Minas after their Tanda at Logan Airport. “We just sat and had a cup of coffee,” she says. Despite posting several dozen times, from airports in places such as Munich, Milan, Barcelona, Johannesburg, and Atlanta, Mr. Slavsky has yet to make a travel connection. “I get bummed because I have time waiting and I can’t dance,” he says. Experienced tangueros get used to holding intimate embraces with strangers, whether in a dark milonga, or tango club, or a busy airport terminal. Some dancers say they keep their eyes closed to better feel the music and their partner’s movements—and to avoid stares from passersby. Ray Bartlett, a Cape Cod, Mass., travel writer and novelist and the co-administrator of the site, has posted for tango partners at the registry of motor vehicles, in conference hotels and the ferry to Martha’s Vineyard. Last spring he found a dance partner in Marlana Patton, while both were attending a writing conference at the Park Plaza hotel in Boston. The two strangers danced a tanda in the hotel lobby, sharing a set of headphones so they wouldn’t disturb other guests. “There I was dancing in my socks in a lobby with someone I had never met before,” recalls Ms. Patton, of Arlington, Mass. “It is absolutely delightful when you find that intimacy when you weren’t even looking for it, and in a place that’s not even a dance floor,” she says. Airport meetings in progress are followed avidly online. In May, Isabella Garcia spent a three-hour layover in Chicago’s O’Hare airport while heading from Austin, Texas, to State College, Pa., for a legal conference. “Stranded in ORD until 4pm. No shoes, but I can follow in socks :)” she posted. Followers cheered the two travelers on from Facebook, wondering if they would be able to connect. “Go Team Tanda!” posted one reader. “Ooh! Did you guys meet up?” another queried. At 4:11 p.m., Mr. Bartlett posted a photo of him with Ms. Garcia, dancing in an embrace. “Success!! !” he wrote.